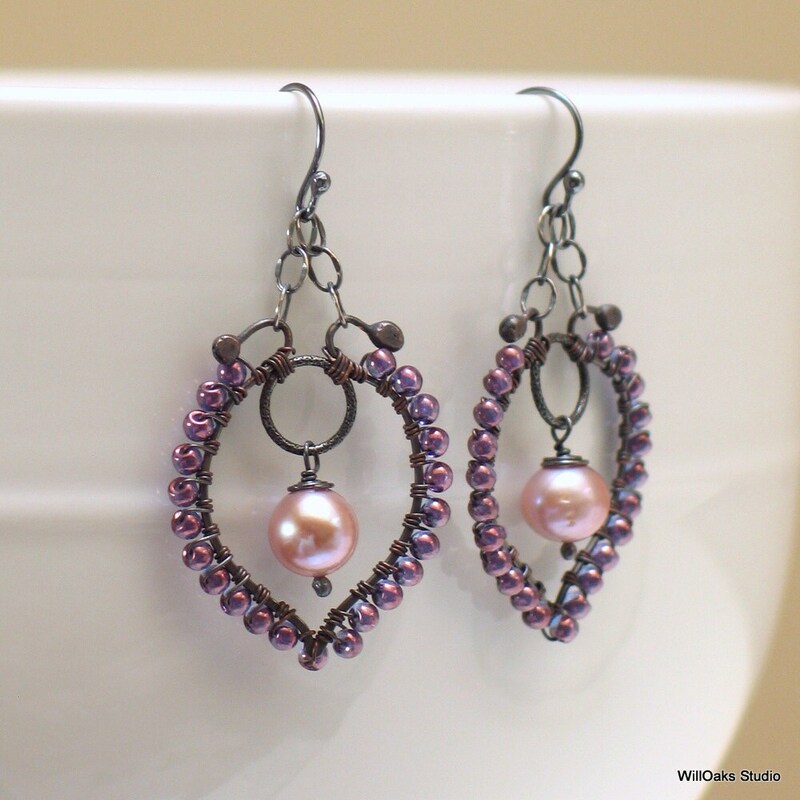 Naturally lovely pink freshwater pearls are the centerpiece in these statement earrings, framed in dark oxidized forged copper bound with darker purple luster Czech druk glass beads, about 3 mm each. 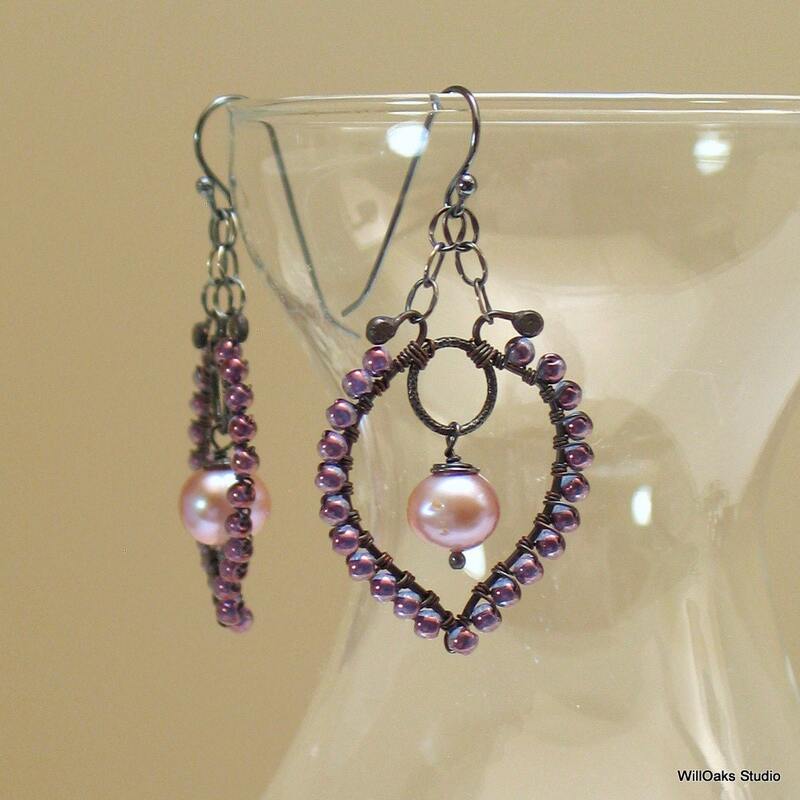 Oxidized sterling rings, chain and handmade ear wires complete these original artisan made earrings. 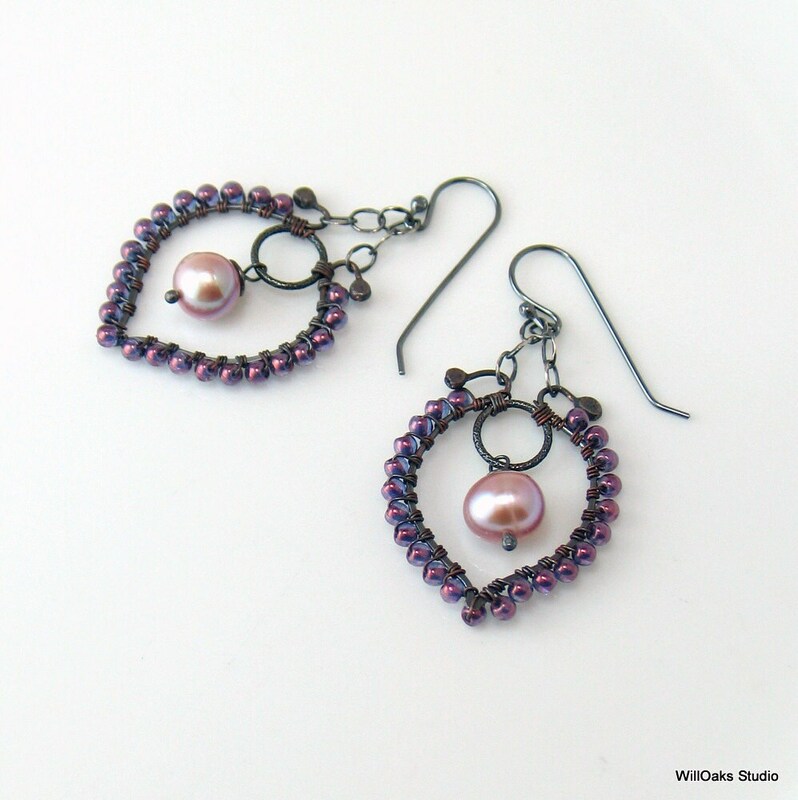 These artisan made original earrings are so bohemian, dark and mysterious with little hints and flashes of color. 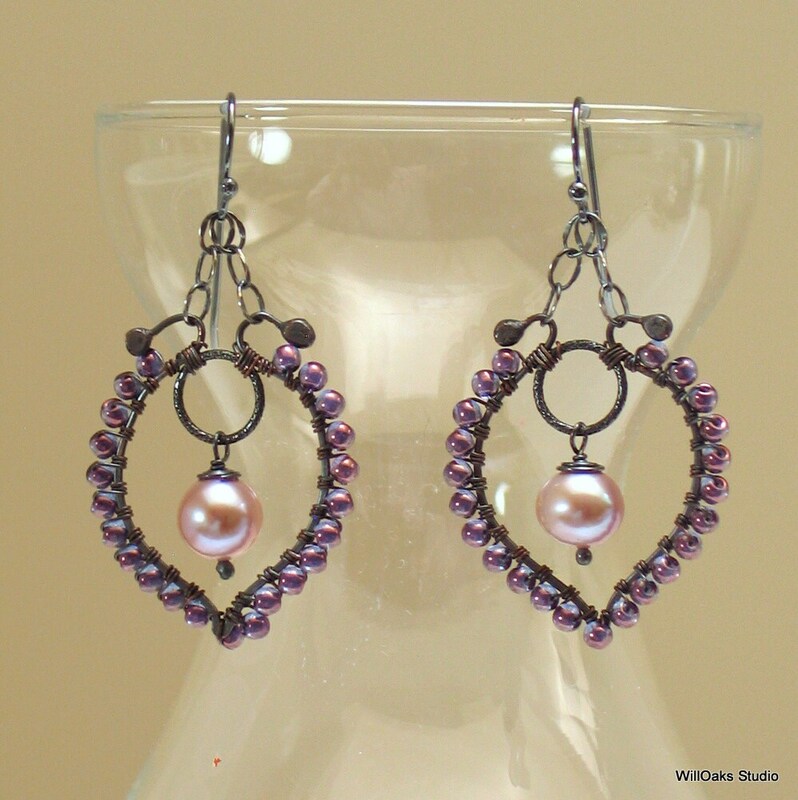 The pale pearls are highlighted by the dark metal and darker glass beads. They are ready to mail, ready to wear or to give, presented in my signature packaging. Mailed with clear silicone ear wire clutches, to present loss. 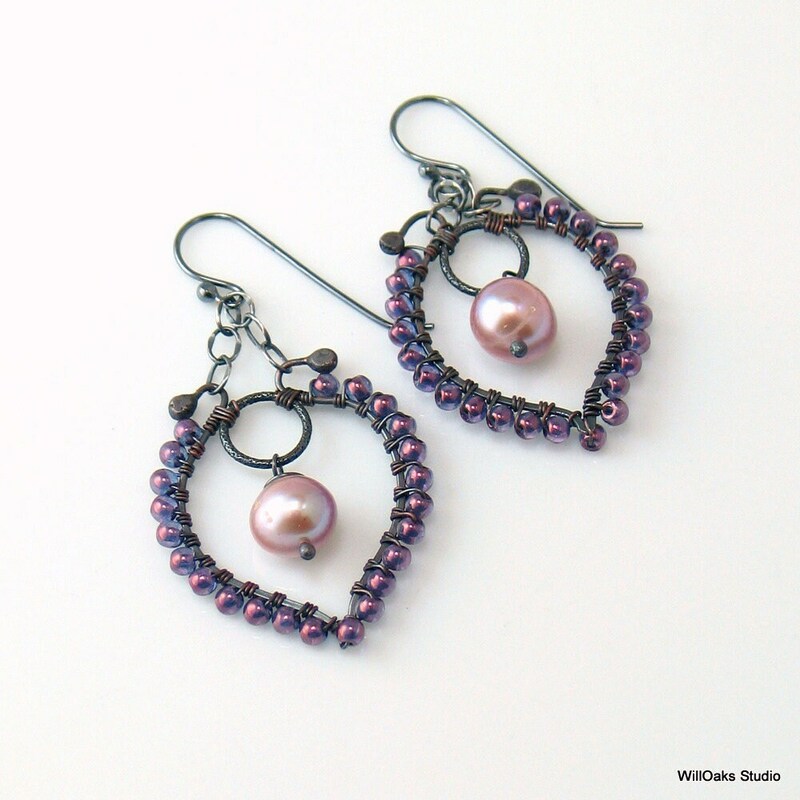 Lightweight and swingy--statement earrings for sure! About 2 1/4" (55 mm) measured from the top of the ear wire. The widest part of the design is just over 1" (27 mm). Very feminine and will complement many styles and cross seasons. I imagine them for a formal event like a wedding, prom or other dressy occasion. But I can also imagine them with pink & purple casual fashion. Need a similar design in a different color? Please contact me about a custom order!